THE CABERNET SAUVIGNON IS IN! 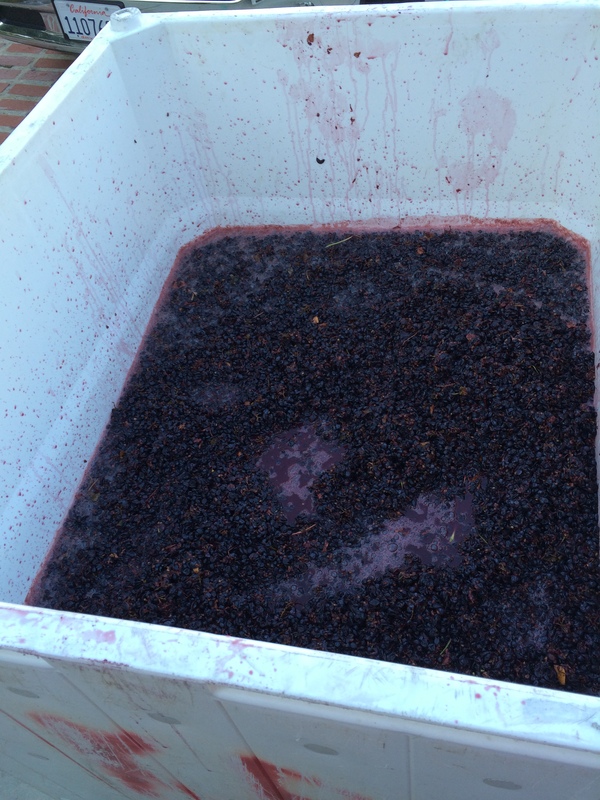 Yesterday, our co-op got our allotment of Cabernet Sauvignon fruit from our source – Cass Vineyards in Paso Robles. 1100 pounds of very nice grapes are now fermenting in our cold room. They join the Merlot and Rousanne already through fermentation and await the Cabernet Franc fruit yet to come. The Rousanne will be bottled in 2015 and the reds in 2016. The Rousanne will be bottled with the Rhone-style reds that have been in the barrels for a year thus far – Syrah, Mouvedre, Granache, and some Malbec. Then, in 2016, it will be Bordeaux-style wines for us.